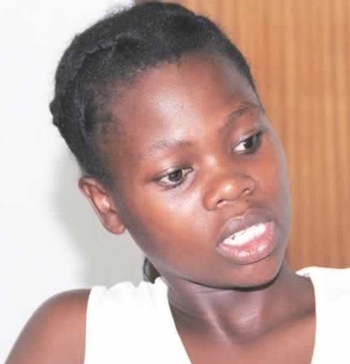 Ruvimbo Tsopodzi , a 20-year-old girl, has risked rejection and disgrace from her family and traditional elements of her culture when, as a child bride, she fled her abusive husband and engaged the services of lawyers to secure her freedom and that of many other girl-children forced into marriage. The practice of child marriages has been present in Zimbabwe since "time immemorial" as young girls are forced into marriage with older men, thus depriving them of their right to childhood and an education. Tsopodzi’s court suit got this medieval practice outlawed by the country's highest court, the Constitution Court. Her courageous actions saved thousands of young girls who would otherwise have been married off to elderly men in the country. Ruvimbo herself was married off to an elderly man by her parents when she was only fifteen years old, and bore two children. Her life was tough as she had to work in the fields as well as conducting all household chores such as tilling the fields and fetching firewood. Finally she decided to flee from her husband together with her children to Harare were she sought help at a refuge for girls which helped her take her case to a human rights lawyer. Her family condemned her actions and tried to convince her to come back to her husband. "I was 15 when I was sold off into marriage by my father and I became pregnant,” she said. “It is very hard to raise children when you are also a kid and I wouldn't want to wish anyone to experience such trouble. I never experienced any childhood at all and was abused by my husband all the time. My parents tried to convince me to come back to my husband as they had been paid. But I won’t go back,” she said. Child marriages in Zimbabwe are mainly rife in the countryside, as families sell off young girls as a result of poverty. Many African apostolic churches support this practice by encouraging male members to marry young girls. African traditional practices also encourage the practice of child marriages.